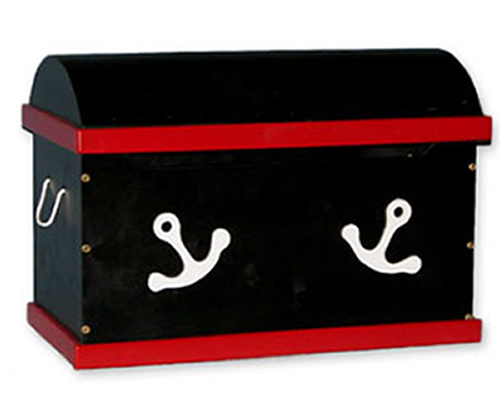 Full Description Coordinating Toddler Bed Little pirates can store big treasures in this fun toy chest. 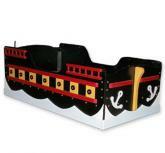 It's even more fun with the coordinating High Seas Toddler Bed. This product is tough and kid approved! It will last for years and can be passed down from generation to generation as a treasured family heirloom.Handcrafted in the USA with all wood constuction, a lead free lacquer finish, and a safety closure, so it won't slam on little fingers.